All cushions are 18 inch square uless labelled otherwise. with matching blue back and gold tassels. 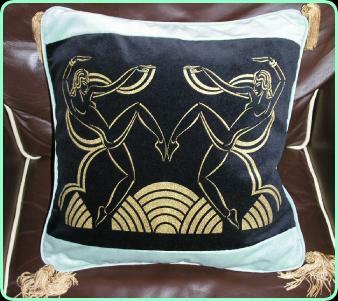 Deco inspired cushion. in purple and black velvet with matching purple back and tassels. 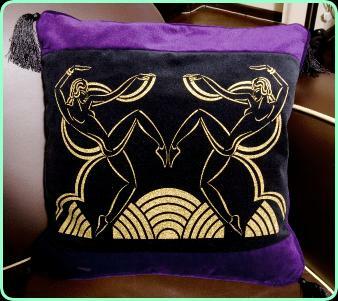 Deco inspired cushion. 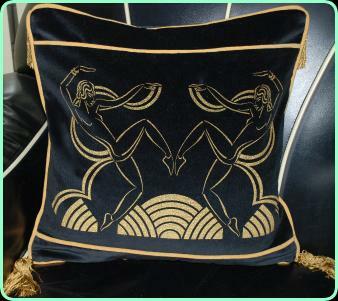 in black velvet with matching black back and gold tassels. 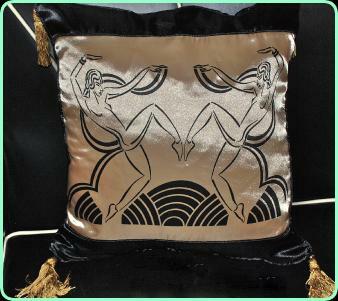 Deco inspired cushion. 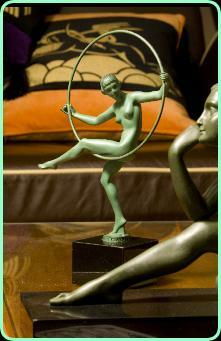 in green and black velvet with matching green back and gold tassels. 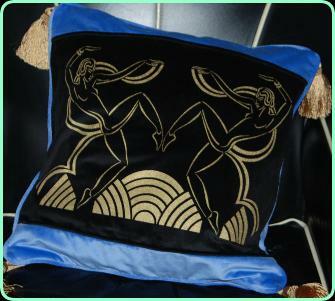 Deco inspired cushion. in Gold/Black satin with matching black back. 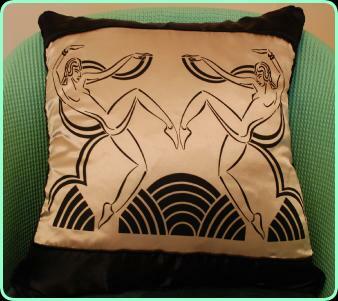 Deco inspired cushion. in Gold/Black satin with matching black back and tassels. 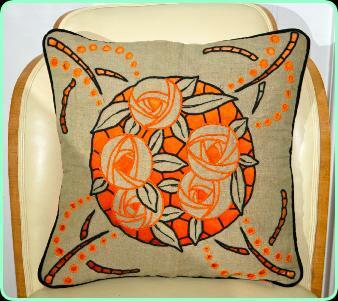 Embroidered on beige linen in black and orange flowers with plain orange velvet back and piped . 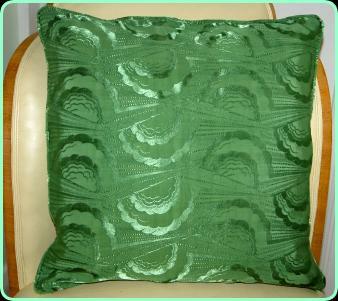 As new/old fabric Art Deco satin cushion with clouds and rays,piped, lovely fabric in green.